A common North American stereotype is that men are more comfortable taking financial risks while females prefer to build security. 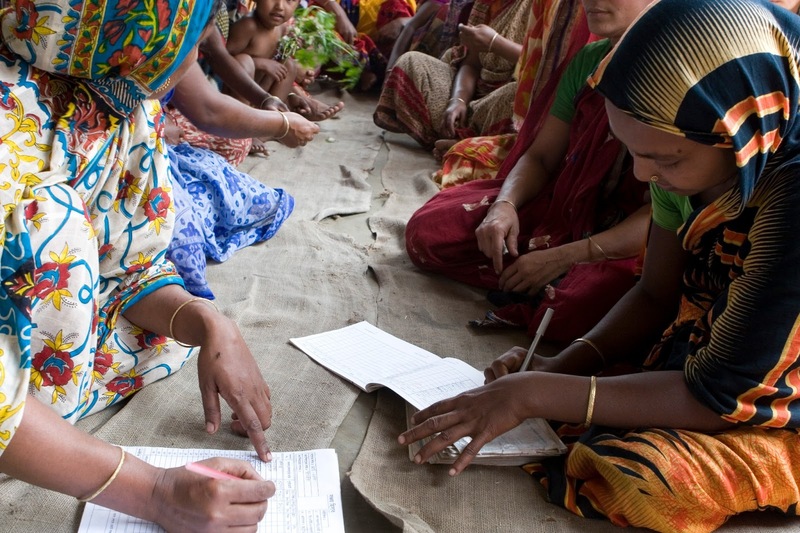 But in rural Bangladeshi communities where FH works, the lack of land ownership, high illiteracy rate and culturally-engrained gender inequality (plus practices like child marriage) make both earning and saving nearly impossible for most females. To combat these challenges, FH has established community savings groups to provide a supportive envi­ronment for women to realize their value and build savings. The most vulnerable women in the community are invited to form groups of approximately 15 who meet regularly. Working together, they develop the means and confidence to lift themselves and their families out of poverty. Group members are taught to read, write and balance books, and are trained in spe­cific vocational and business development skills. Soon, small businesses spring up as women start to use their new-found skills and savings to provide for their families. Females are seen as so inferior that mothers often weep when they give birth to daughters. Group members find these community groups a place where their dignity is restored. FH walks alongside each woman’s family and wider community, challenging negative cultural perceptions of gender inequality. Because women are particularly vulnerable in the area of family law, they are taught about their legal rights and the rights of their children in areas of family conflicts such as dowries and multiple marriages. With the support of FH staff, they are equipped to challenge injustices and protect them­selves and their children from exploitation. FH has over 900 groups meeting across Bangladesh. With your support, we can offer more women this life-changing opportunity. Contact us for resources to host “A Taste of Bangladesh” girls’ night and to be matched with a specific women’s group.